Train connections from the Czech capital Prague straight west towards Germany are not very well developed, so in the afternoon of 5 November 2014 I decided to take a comfortable double-decker express bus run by the German Railways (DB) instead to reach Heidelberg, the third and final destination of my tour. The bus travelled by high speed along the highway with no stop until Nürnberg, and then it continued to Mannheim that we reached late in the evening after exactly seven hours drive. From there I had to take a local train the final 15 minutes from the industrial metropolis of Mannheim to the much smaller and extremely picturesque university town of Heidelberg. Next morning I took the city bus no 31 from the city centre to Neuenheimer Feld University Campus located on the other side of the Neckar river, to visit the South Asia Institute (SAI), for a long time being Europe’s leading research centre for South Asian studies – but now more and more challenged by other institutes in Germany and elsewhere. 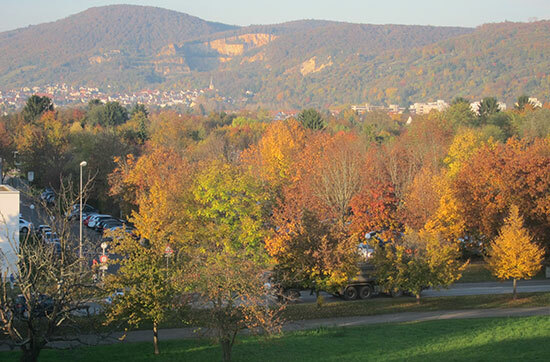 It was my second visit to SAI, the first time was in 2002 when I attended that year’s European Conference on Modern South Asian Studies (ECMSAS) hosted by Ruprecht Karls-Universität Heidelberg. Read the 2002 conference report prepared by Lars Eklund and Staffan Lindberg. This time I was invited to meet Professor Subrata Mitra (photo) at the Department of Political Science, a leading specialist on South Asian politics, and a good friend. 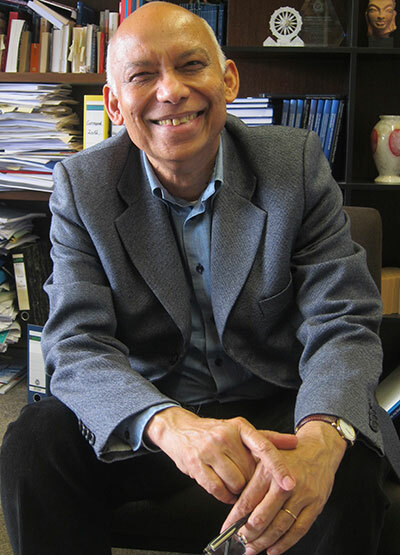 Educated at Delhi University and Jawaharlal Nehru University (JNU) in India, his international academic career includes positions at the University of Rochester in USA and University of Hull in UK, before joining SAI in Heidelberg in 1994. Now he is just about to retire, a successor will soon be announced, and Prof. Mitra was just about to vacate his spacious office high up in the SAI building. We sat down to discuss the current situation for the South Asia Institutet that within a few years will move to new premises in Heidelberg, as part of an organisational restructure of the university according which SAI most probably will be merged with some other units. Each department has a strong research profile, and the professors are all internationally well-recognised authorities in their respective fields. William Sax, Gita Dharampal-Frick and Hans Harder have a record of being involved in the networking activities of the European Association of South Asian Studies (EASAS), and Axel Michaels was co-founder and later co-director of the successful Heidelberg University’s “Asia and Europe in a Global Context” Cluster of Excellence that was established in 2007 (more information). Prof. Mitra was very keen to introduce me to Dr. Martin Giesselmann (photo to the right), the person in charge of the web site of SAI and its newsletters. Exactly the same duties that I carry out for SASNET at Lund University. Even though we work in slightly different ways (SAI produces printed newsletters a limited number of times a year whereas SASNET news are found only on the web but are constantly updated), we had a fruitful meeting discussing common problems and technical solutions. We decided to keep in contact and if possible work out forms of collaboration between SAI and SASNET. In the afternoon I had the great pleasure to meet three Indian guest professors at South Asia Institute, one of them being the third Indian Council for Cultural Relations (ICCR) professor at University of Heidelberg, Amiya P. Sen, Professor of modern Indian History at the Department of History & Culture at Jamia Millia Islamia in New Delhi. The ICCR professorship is called the Heinrich Zimmer Chair for Indian Philosophy and Intellectual History, and it was established in 2010 – with Prof. Dhruv Raina being the first chair holder. It was the same year Lund University got its first ICCR professor. From left to right: Alok Kumar Mishra, Tana Showren and Amiya P Sen. 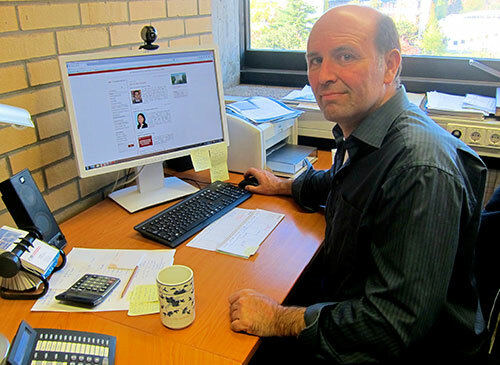 Professor Sen had recently arrived to Heidelberg and will spend a full year at SAI. His research interest focuses on the intellectual and cultural history of Modern India and he has published widely on Hinduism as well as biographical studies on eminent Indian historical figures. I met Prof. Sen along with two other Indian guest professors, Tana Showren and Alok Kumar Mishra, who had come to Heidelberg on another scheme, the Federal State of Baden-Württemberg Fellowship at South Asia Institute, a fellowship programme set up in 1986 under the Indo-German Cultural Exchange Programme. Tana Showren is a Professor of Modern History, including Oral Traditions & History of North East India, at Rajiv Gandhi University in Doimukh, District Papum Pare, Arunachal Pradesh state, and Dr. Mishra comes from the School of Economics at University of Hyderabad. They are staying for a period of 3-4 months. We had a nice conversation about their experiences from the fellowship programme, and I presented SASNET for them. Since 1986, more than twenty Indian scholars have spent time at SAI as part of this short-term fellowship programme. 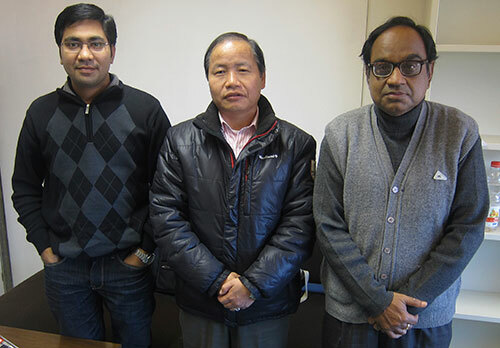 Several of these researchers are partners in the SASNET network, for example Prof. Anjali Gera Roy, Professor in the Department of Humanities of Social Sciences at the Indian Institute of Technology Kharagpur; Prof. Tanka B. Subba, Professor of Anthropology at North-Eastern Hill University, Shillong; Prof. Mohammed Badrul Alam, Department of Political Science, Jamia Millia Islamia University, New Delhi; Dr. Amit Dey, Reader in History, University of Calcutta, Kolkata; and Prof. Prakash C. Sarangi, Department of Political Science, University of Hyderabad. It should be added that SAI does not only keep fellowship programmes with India. Since 2008, there is also an Allama Iqbal Professorial Fellowship at the South Asia Institute, supported by the government of Pakistan. Its tenure is set at three years with the possibility of extension. During the period 2009–2014 the fellowship position has been held by Professor Sayed Wiqar Ali Shah, Professor of History at the Quaid-i-Azam University in Islamabad. Similar fellowships are in place at the Universities of Oxford, Cambridge, Berkeley and Columbia. 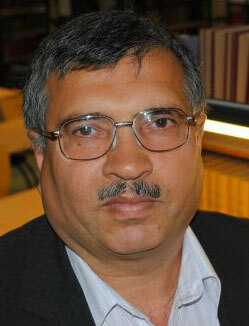 Instrumental behind the awarding of the fellowship to the University of Heidelberg was the then ambassador of Pakistan, Shahid Kamal – previously Ambassador of Pakistan to Sweden, and close to SASNET. The introduction of the Allama Iqbal Professorial Fellowship could actually be traced back to 1977, when the 100 year anniversary of the poet-philosopher’s birthday was celebrated. Muhammad Iqbal (1877-1938) was very fond of Heidelberg, where he spent some time studying Philosophy, Literature and German. Read more about Iqbal’s relation to Heidelberg. Before leaving SAI I was given an opportunity to visit the impressive library of SAI, guided by Eleonore Schmitt. 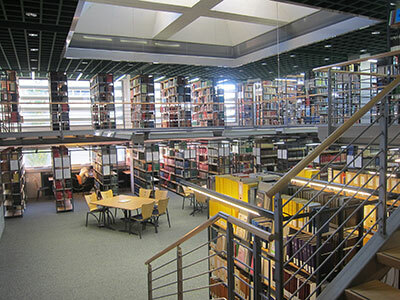 The library has great collections of books and magazines (photo of the spacious magazines room), but SAI is also proud of its Virtual Library, Safiva, that can be reached via the web. More information. 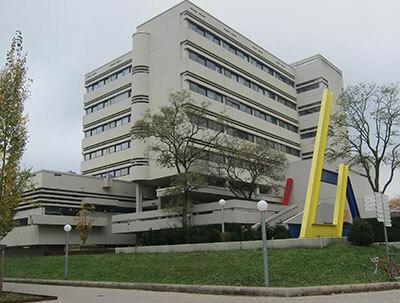 The first three of these are connected to the Asia and Europe in a Global Context Cluster of Excellence, whereas the final one is based at the Faculty of Theology.